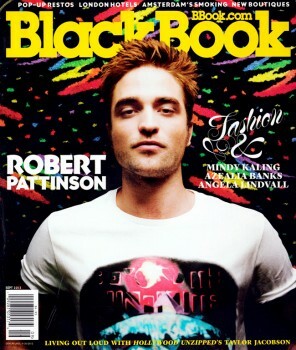 Black Book updated their site with the new interview and shoot with Rob for the September 2012 issue. These are fantastic! My favorite Rob shoot yet. Thanks so much for posting. I am in love with these pics...so much UNF!! Rob is breathtakingly gorgeous. Tough Joshua dude is right that we love to look at handsome Rob, we also love to hear Rob's thoughts, but from most of this interview, I can't figure out what information the interviewer gained by interviewing Rob...what Rob actually said. So again, he should have let Rob do talking, put much more direct quotes from him. And the interviewer, quoting the “Twilight and the Production for the 21st Century Teen Idol”...big fail. Rob never fails to look so damn delicious.